I came across this wonderful story some time ago. Some of you may have already heard it, but it was new to me. I can't resist sharing it here will all my friends. 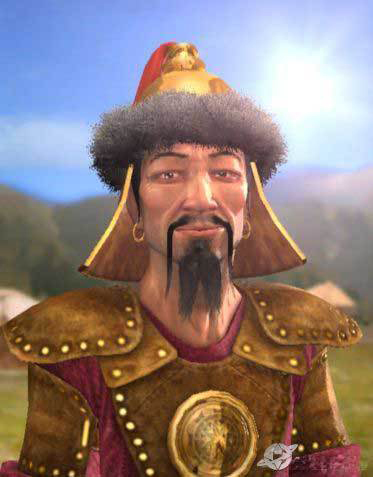 One morning Genghis Khan, the great king and warrior, rode out into the woods to have a day's sport. Many of his friends were with him. They rode out gayly, carrying their bows and arrows. Behind them came the servants with the hounds. On the king's wrist sat his favorite hawk, for in those days hawks were trained to hunt. At a word from their masters they would fly high up into the air, and look around for prey. If they chanced to see a deer or a rabbit, they would swoop down upon it swift as any arrow. "Now, Sir Hawk," he said, "that is the last time." "The hawk saved my life!" he cried, "and how did I repay him? He was my best friend, and I have killed him."